Details: Superbly bred mare by Moorfield Edward out of Wheatland Primrose who was by Acle Merlin. 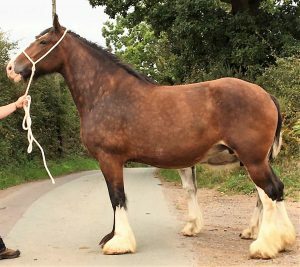 A beautiful big, and substantial quiet mare. A proven brood mare; her last foal being jet black with four white legs.